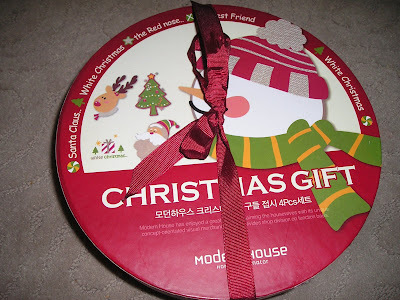 I got this cookie plates set from Ms. Lim Mi Sok, my Korean friend from Church. Thanks a lot Mia! This will be added to my memorable remembrance of being here. Another year to wait and we will be back to our home in West Virginia, I miss being home. I was tagged by Niko that requires posting a picture when I was a high school. It's kinda embarrassing but I'll post this anyway hahaha. The picture with cake was taken in our classroom for our major subject Food trades. We made that cake for our project. 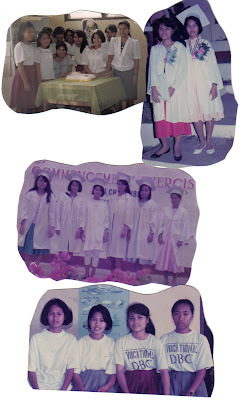 The one with toga was taken during our graduation day with my best friend Jovelyn. The third pic was taken during the recognition day and the last one was taken when we were 3rd or 4th year maybe? I'm not so sure hahaha.. 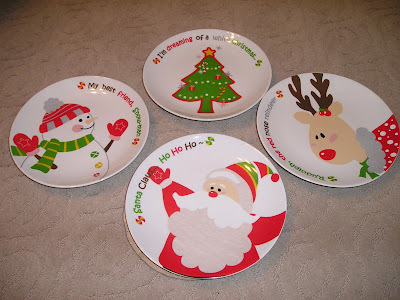 I don't want to spoil the fun so I am tagging sunny, faye, malou, dhemz, cookie and ate cecille. Come on guys, don't stop the fun hehehe.. This battery operated holiday train was given to EJ by his Aunt Chris last year. 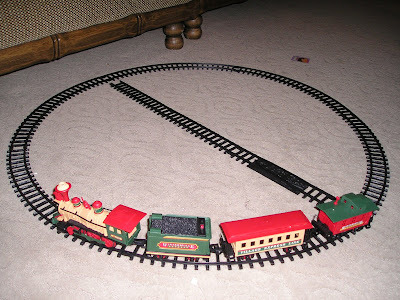 The train makes sound and goes around the railway when you turn it on. EJ love it, but sometimes he wants the train to go somewhere so he always picks it up and lay it somewhere. That's when he realizes that the train won't go without the track so he cries out of frustration hehehe. I took these photos yesterday while my son and daughter are so loving to each other. They were hugging each other a lot. This is rare hehehe, most of the time they pick on each other hahaha..